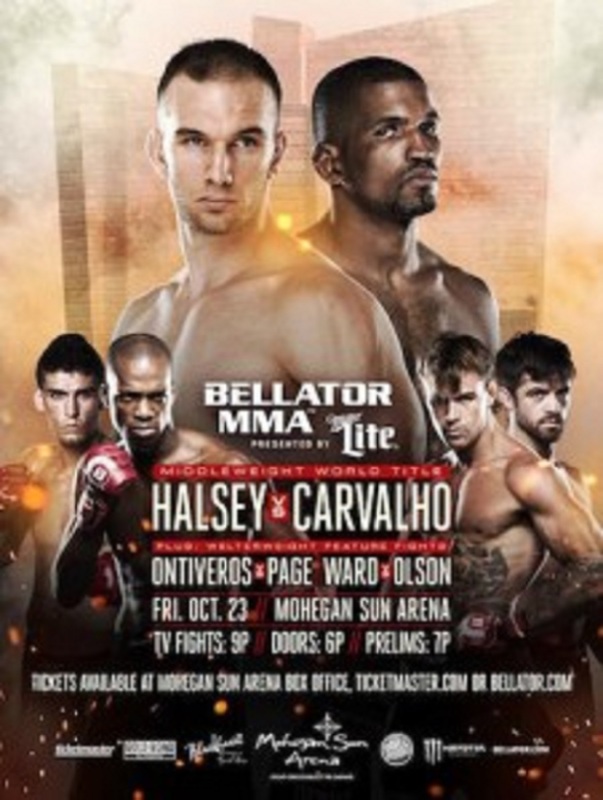 “Bellator 144: Halsey vs. Carvalho” takes place Friday night inside Mohegan Sun Arena in Uncasville, Connecticut. Stream the preliminary card live right here on 5thRound.com starting at 6:45PM ET/3:45PM PT. Spike TV broadcasts the main card at 9PM ET/PT. Brandon Halsey and Rafael Carvalho battle for the vacant Bellator middleweight title in the show’s featured attraction. Dennis Olson and Brennan Ward serve as the co-main event.